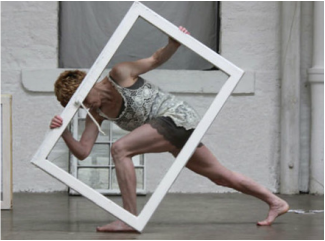 Gerry Turvey trained as a visual artist, and now works as a choreographer and educator. She creates performances in public spaces, works in arts galleries, and collaborates with with other artists. Her work concerns community and culture, and brings people together to share positive physical experiences. At present she works as an independent choreographer and as dance development, in the field of mental health for Hoot Creative Arts in Huddersfield. She also teaches regualr yoga classes at the yoga Space in Leeds.